As part of our drive to recycle and reuse, we instituted the Green Card program. After you finished the bottle of our olive oil or balsamic, just rinse it out and bring it back to the store. We will mark off your green card. 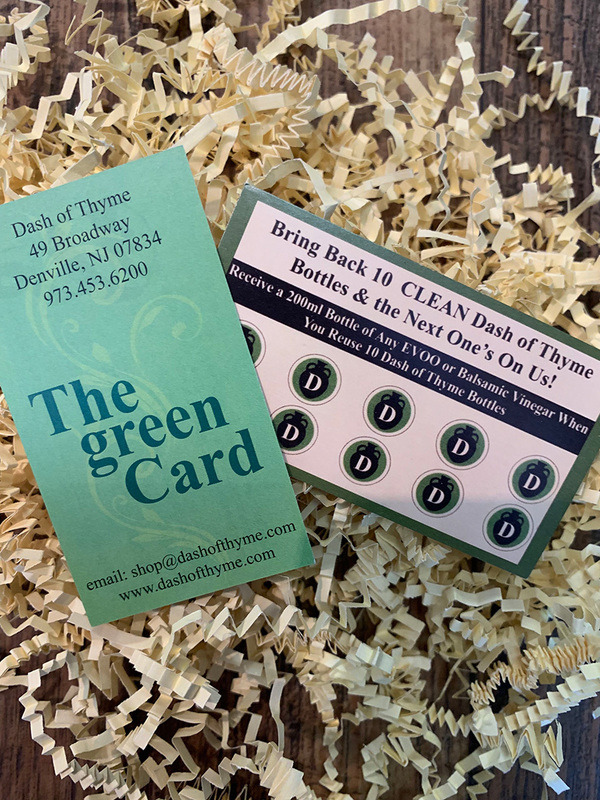 Once you return 10 bottles you will get a free bottle of either olive oil or balsamic!